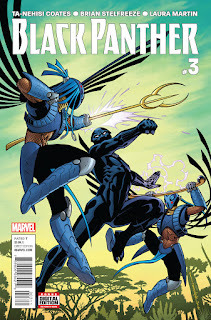 - I already posted a pretty long, angry, depressed review of Black Panther #3. You can find it HERE. - In Uncanny Inhumans #11, he was just in one panel, the same panel when the Avengers/Ultimates showed up to stop the Inhumans from attacking Stark. He didn't do or say anything. 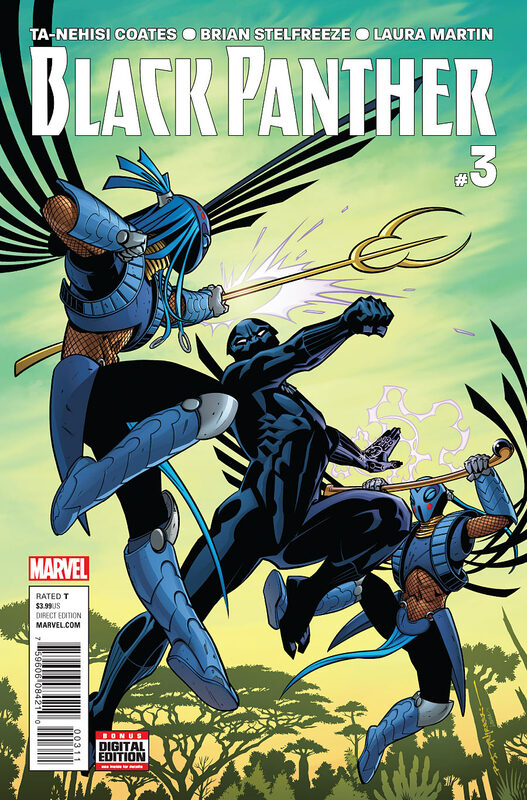 - T'challa represented Wakanda in Captain Marvel #6, offering a small back history on the Inhumans to the Alpha Flight council/oversight thing. In addition, he offered Carol the resources of Wakanda to stop a biological attack. The most interesting thing was that T'challa did not tell the council the full extent of what/who Ulysses was, just like Carol. I believe that wraps up this week. If I missed anything, let me know in the comments!